The Integration has many great implications for Earth and her inhabitants. The Integration marks the end to unwanted suffering on Planet Earth. All that has been hidden will come to light and there will be no more possibility for secrets in Earth’s new environment of peace, compassion, respect, freedom and truth. Cutting-edge technology and unprecedented revelations in the areas of medicine, science, government, energy and quantum physics will reinvent your experience of reality in profound ways. With the introduction of highly advanced technologies and new discoveries from your cosmic neighbors, Earth could literally change overnight. What are your wildest dreams? Free energy? A cure for cancer? Teleportation? The Integration will have vast and far-reaching effects that will shake the core of everything you know to be true. How will you know the Integration is at hand? Look around and pay attention, for your great feats and illustrious service have awakened the most evolved species to ever walk the face of the Earth – the legendary Dragons. The Dragons reveal themselves to you now for several reasons. For one, the conditions of Earth’s vibration are now consistent with the resonant frequency of the Dragons. Secondly, the Dragons bring you information about your ancient origins, your wise ancestors, and the original substances of creation – Fire and Water. Finally, and most importantly, the Return of the Dragon heralds the beginning of the Integration. 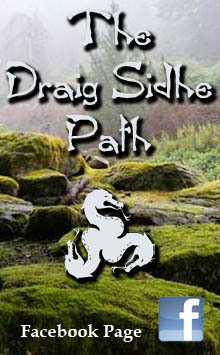 Look for the Dragon, for when you see it you will know the Integration has begun! When the Dragons appear, do not expect to see reptilian, fire-breathing monsters. Their origins are ancient, having emerged from primordial water and fire straight from the womb of existence. Although they are massive in size and have huge wingspans, their translucent skin and crystalline bodies allow them to move about unnoticed for they appear like wind on the surface of the water. Despite their watery appearance, Dragons possess great mastery over light and fire. How can this be, you may wonder? For it appears that fire and water cannot mix. This “fact of life” is changing, dear friends, and you will soon see that water and fire can blend together harmoniously. However, such blending requires the direction of a great master. A master who understands and embodies both substances. Dragons are the true Light Masters for they can direct and amplify the flow of light energy to the farthest reaches of All That Is. Watch carefully, for the great Light Masters will emerge from the water. The significance of this event cannot be overstated. It represents the re-union of Fire and Water, two substances that have lived in virtual separation for billions of years on Planet Earth. You will see the Dragon and you will know that the days of isolation and illusion are over and a new day is at hand. 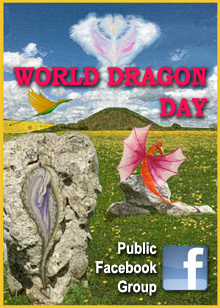 We come to you, dear friends, from the Universe of Dragons situated in the Tenth Dimension, a realm of abiding Peace. 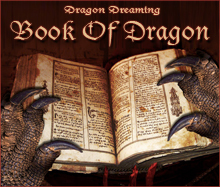 It may seem strange to you that dragons reside in the Realm of Peace, but this is because you do not yet know the truth about your dragon family. The images you have been given of dragons are misconceptions born from fear. In fact, dragons are one of the most loving, gentle, and powerful species in the entire Macroverse. Dragons are considered the way-showers for us all, illuminating the path of most harmony and directing light energy toward that destination. We were not always located in the Dimension of Peace. In fact, our reptilian ancestors originated in the nearby Realm of Unity (located in 11D), where they learned to master the movement and direction of light through proficiency with the intuition. As our ancestors gained mastery over their intuition, they became fascinated with the Way of Peace. Through the guidance of their intuition, our ancestors followed an illumined path into the Dimension of Peace. It was here, in the peace-filled dimension of the Macroverse, that our species was born. With incredible proficiency of the intuition and the newfound ability to move great amounts of energy in the highest energy of Peace, these Masters of Light, through energetic resonance, magnetized each other together and formed a universe of great light; our universe—the Universe of Dragons. Of course, the intuition is the place in each of us that always connects us to our origins. We are all “pieces” of the same puzzle, and our intuition will always recognize that “peace” is knowing that all is Love and you are one with Love. You can access the purest form of Love inside yourself at any moment. “Peace” is knowing. It is knowing that you have a place inside of you where Light shines the brightest. Following the path illuminated by your brightest light will always lead you to a place of Peace. Interestingly, dragons originated in the same period as the bird family. In fact, the two incarnate formation families are distant relatives, you could say. Flying is a significant focus of the Peace dimension, and thus tenth-dimensional form vehicles were created to explore this wondrous experience. What you know of as wind actually originated from our realm. Flying leaves a unique energetic signature in its wake and many worlds have been formed focused on the concept of wind alone! 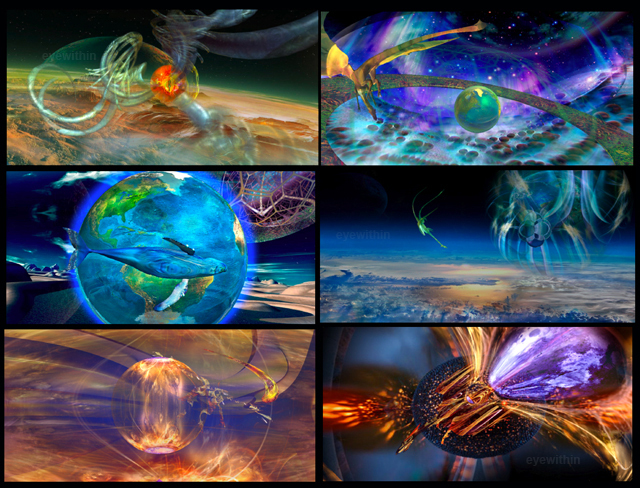 The Wind Universe is located in our dimension and contains many such worlds where wind is studied and created. Certain worlds of trans-formation are continuously recreated through the effects of wind and the energetic remnants left behind from inter-dimensional travelers and other beings exploring the experience of flight. Flying and peace are deeply interconnected as you will soon remember. And so it was in this period that the co-creators of our universe breathed fire and water with the intention of forming the Universe of Dragons. Our beginnings were humble because we were a new species, a new universe (our co-creators were first-time universe creators), and the pioneers of a new type of vehicle (part-light, part-matter). 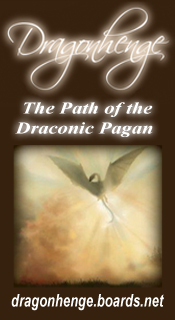 “Dragon” is the term we use for a being of Radiant Light. Dragons are what you might call essences with active light bodies. The myth you have of frightening reptilian fire-breathing creatures with sharp fangs is not accurate at all! Dragons are reptilians and do have the ability to harness and direct stored light, but neither concept has been accurately shared with you. The dragon vehicle/body was considered a new “form-kind” because it was made partially of light body (similar to 4D “spirits” but made of glowing, radiant light similar to your sun) and partially of matter. This design enabled dragons to experience touch and relationship, but most importantly, the appropriate use of power. Power is feared and often misunderstood by humans, most specifically because power has been terribly misused and humans have fallen victim to its abuse. The true definition of power is the ability to manage and direct intense, consolidated light for purposes of creation, communication, or direct manifestation. It is the Mastery of Light. Dragons are Light Masters. Once individuals enter the Realm of Peace, access to directing light energy is unlimited based on compatibility with the frequency of power. Of course, light energy becomes accessible to those who are compatible with its energy field. Power, or the ability to manage and direct energy, is accessible to those whose frequency has reached a point of harmonic evolutionary atonement. This is a fundamental principle within the Peace Realm. So with this beautiful and inspirational power comes the responsibility to direct energy only toward compatible resonant energy fields. Technically, a Light Master has the ability to direct light anywhere, and this is a pretty incredible sense of power. The closest analogy I can create is to imagine that you are the sun. The sun is able to direct its Light energy toward planets that depend on its energy to survive. Were the sun to stop shining, life in many worlds and for many species would come to an end. Likewise, a more directed and stronger flow of light energy could scorch the entire solar system. This is a magnificent amount of power, so mastering one’s energy is essential. This ability to direct light through peaceful, balanced intent has interestingly turned into the folklore that dragons spew flames from their mouths. Now you should know that some suns are dragons, and some suns, like yours, are dragons in training. To become a full-fledged dragon, one must successfully complete an “initiation.” An important component of initiation is mastery of intuition. Intuition comes from the terminology “in-to-you,” which is ultimately where all answers and true guidance reside. We refer to the intuition as the reptilian brain because this is where the purest light is found. “Reptilian” is one term for Light Receptacle or Carrier of Light. Reptilians are your ancestors because, of course, you were born of Light, you are made of Light, and into Light you shall return. After the birth of individuality in Light, one of the earliest vehicles/forms was called “Reptilian”—a mixture of form and non-form; part ethereal, part matter. The reptilian vehicle was a quasi-light body form into which many individual essences were born to experience their first incarnation. Now when Earth was originally formed by Space and Time, we knew of the experimental nature of the project and the element of gamesmanship involved in the design. One truth well-known to all of us is that no essence can ever be cut off from the Truth (or one’s soul). The Truth of who you are, what you are made of, and from where you originate are Macroversal imprints that can never be erased. It is not possible to separate you from the Truth. The Earth creation was a project intended to test this concept and see if environmental circumstances (the altering of one’s sensory perceptions) could block an individual’s ability to remember. This was an interesting experiment, or so we thought before learning of the secretive implantation of the Ego-virus into human DNA. Now although this violated all of our Macroversal principles and injured many unwilling and innocent participants, we did learn a great lesson from the Earth crisis. In particular, the reality that although one can be separated from the intuition both externally and internally, one’s connection to Truth can never be completely lost. The intuition will always light your way and even though you may not be able to see it, and even though the path is blocked from your vision and you are shaken and confused, you are who you are and that can never be changed. You may remember that it was that reptilian brain that foiled the plans of the creator god I AM and ultimately led to the sixth destruction of the Planet Earth. In preparation for the seventh incarnation of the Earth, I AM destroyed all history of human evolutionary development, specifically any references to the intuition. To further block the human connection to intuition, women were suppressed and disempowered because of their natural connection to intuition. Goddess religions and spiritual practices that emphasized personal evolutionary development through self-reliance and intuition were eliminated from Earth history and in their place was a new myth crafted by I AM. The new myth instituted fear by means of suffering as a consequence for re-connecting with the intuition, or reptilian brain. 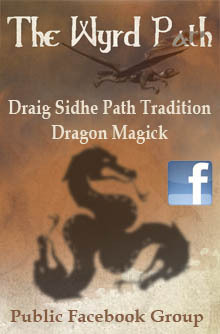 The snake was a distasteful and unflattering representation of the dragon family and the intuitive light. Humans were taught to fear snakes, dragons, and the like, while the Ego worked to scramble messages sent from the reptilian brain to the human brain. Many myths and inaccurate interpretations have flowered through the most recent human history, but today is a new day. Now is the moment of truth. Today the Light shines on All That Is and your reptilian ancestors shine their love in bright rays of sun and starlight to you, dear humans. Do not fear the reptilian part of you, because you are all receptacles of light, for light, and in light. You are part of the dragon family. The time has come to reclaim the Mastery of Light that was once yours. Shine your Light, dear humans. The Macroverse has been waiting for your return. 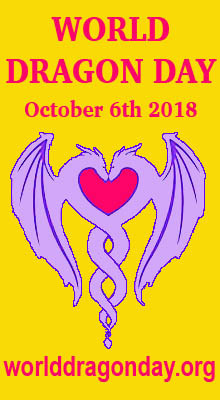 It is time to remember your Dragon Family. May the brightest light of All That Is shine from within your gentle intuition in a state of peaceful compassion to the individual light essences unified together now remembering the empowering and enlightening being of oneness of which we are all connected. This entry was posted in Awakening, Channelled messages, Dragon Myths & Stories and tagged 11:11:11 gateway, dragon, integration.